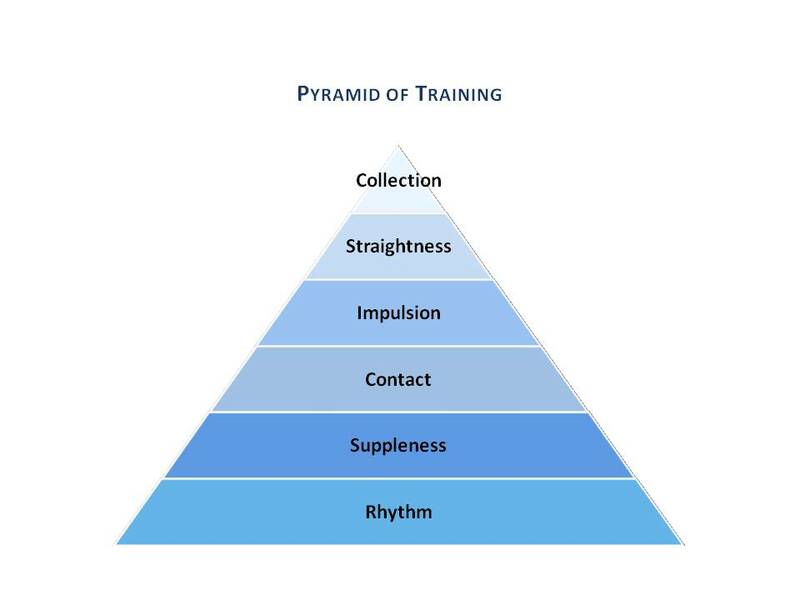 Here is a quick overview of the scales of training. The scales of training are an internationally used training system for horses. They should be worked on and achieved in order to enable the horse to work properly and through. A horse cannot be truly supple until he works in a rhythm, and until the horse is supple he will not be able to maintain a consistent contact and so forth. The scales can also be a helpful checklist for the rider to monitor the horses way of going. Rhythm is the first thing that should be established with any horse, regardless of age, ability or discipline. There are two parts to rhythm, a regular footfall and tempo. The regular footfalls should be correct for the pace, four in walk, two in trot and three in canter. The tempo should be the same, a measured beat in each pace regardless of the pace, and whether they are on a straight line or on a corner/circle – or any other schooling or lateral movement. Suppleness is related to how relaxed the horse is and how capable he is to use all of his muscles correctly. You want the horse to be resistance free, allowing the muscles and joints to freely move even when the rider applies aids. The most important muscles are those over the horse’s top line, from poll to the hindquarters. 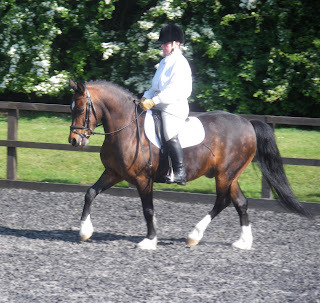 A good test of this is to lengthen the rein, the horse should not want to raise his head above the bit, but stretch down. Contact is often misunderstood. This is a connection from the horse’s mouth to the riders hand, and achieved by the rider correctly using the leg and seat aids to get the horse stepping through and using his top line muscles. This will create a truly round horse. His steps will be springy and energetic – with this energy being felt in the reins by the rider – creating a light and elastic contact. This is the amount of power and energy the horse creates and the rider contains. 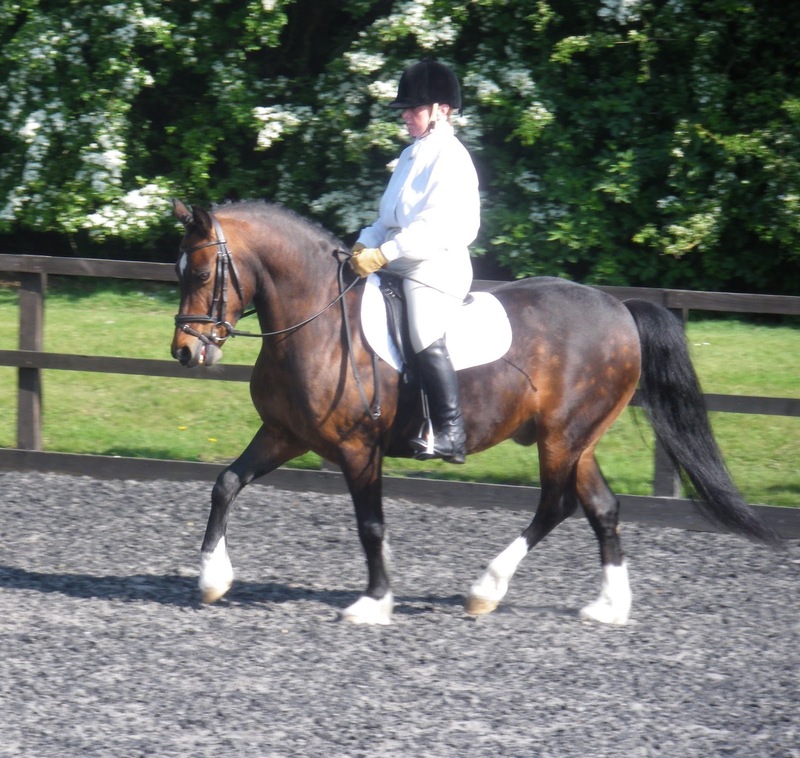 It comes from the hindquarters to create bigger, more energetic steps – pushing the power forward into the rein contact. The rein contact prevents the horse rushing, therefore containing the power for these bigger steps. Any loss of suppleness will block this energy travelling through the horse. This is as it sounds - keeping the horse straight. Like humans the horse naturally tends towards the left or right. You want your horse to have an even feel in both reins and for him to track up straight in all three paces on a straight line and circle. A crooked horse will struggle with suppleness and impulsion. This is the hardest scale to truly perform. The horse will not be able to collect until muscle and strength has been developed in the hindquarters through the other scales. Collection is used to lighten the horses forehand and allow more athleticism to be shown by allowing more movement through the shoulder. Meaning more and more weight will be carried by the hind quarters and the hind legs will step under more. The ultimate show of collection is Piaffe. This article was bought to you by ESTRIDE – The innovative fitness tracker for horse and rider.